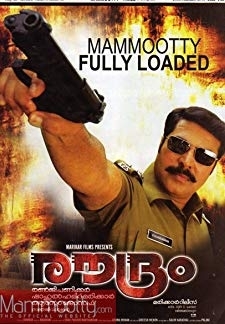 A satire on contemporary Kerala politics where brothers turn local leaders of rival parties, leading to distress for their aged and once-proud parents. © 2018 Scratchu.com Sandesham | Sreenivasan, Jayaram, Thilakan, Mathu, Kaviyoor Ponnamma, Rahul Lakshman, Siddique, Oduvil Unnikrishnan, Mala Aravindan, K.P.A.C. Lalitha, Mammukoya, Sankaradi, Innocent Vareed Thekkethala, Bobby Kottarakkara, T.P. 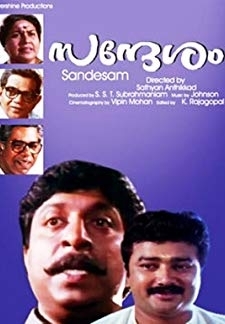 Madhavan - Sandesham (1991) | Malayalam Movie | 9.0/10 | Synopsis : A satire on contemporary Kerala politics where brothers turn local leaders of rival parties, leading to distress for their aged and once-proud parents.... Watch Online!! !